Children at GCS have been concerned about the Gulf of Mexico oil spill, and in 5th grade science class, we’ve been tackling the issue on many levels. What follows is a short description of what we are working on in class, as well as resources you can use to explore the issue at home. Working with a fantastic set of resources available through NOAA’s Ocean Explorer, students have been studying how ROVs work, what deep sea coral species are present near the wreck, and how oil can be collected once spilled. To the left is a picture of a student working to remove vegetable oil from salt water. Kids learned about how the density of the oil changes once mixed with water, and how dispersing large amounts oil makes it harder to recover and remove from water. Kids tried to recover oil from their miniature spill site, and found the job to be difficult and tedious. Next, they invented their own spill recovery tools, and wrote about how they thought BP, the MMS and NOAA might be working to handle the disaster. 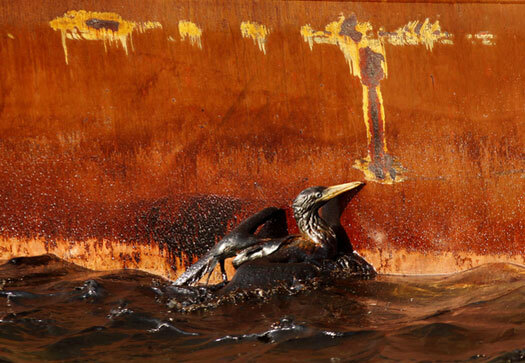 It has been a while since we focused on oil spills in 5th grade science. Back in 2003, I was able to visit a spill site in Galicia, Spain, thanks to a GCS Faculty Travel Grant. At that time, the Prestige tanker cracked in half (not unusual for these poorly regulated and aging ships) spilling 77,033 metric tons of heavy fuel oil into the area. Traveling along the coast of Portugal and Spain, I interviewed beach goers and local business owners about the effects of the spill on their communities. 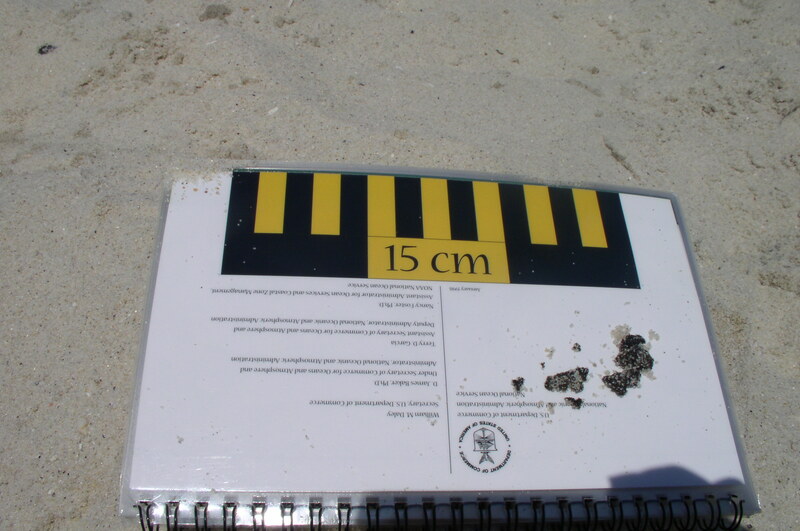 On the beautiful Islas Cies, I found some evidence of the spill in pungent tar balls buried underneath newly laid sand. I was working with the Coast Guard education department and taking pictures for NOAA at the time. Residents expressed a lot uncertainty about the long-term affects of the spill. Political battles were intensified by the spill, and ghostly “Nunca MAIS!” signs, showing an elderly Galician woman crying tears of oil, were spray painted all over the coast. People were most interested in the return of their fishing and tourist industry, which took a serious blow thanks to the tanker’s accident. Many environmentalists tried to take advantage of the opportunity to teach people about resource use as a result of the spill. At the time, a Coast Guard official visited our classroom, sharing with the fifth graders how they are connected to such disaster through their use of natural resources. Students were shocked to learn how many everyday objects were connected to oil; crayons, their chairs, cups, toys, etc. 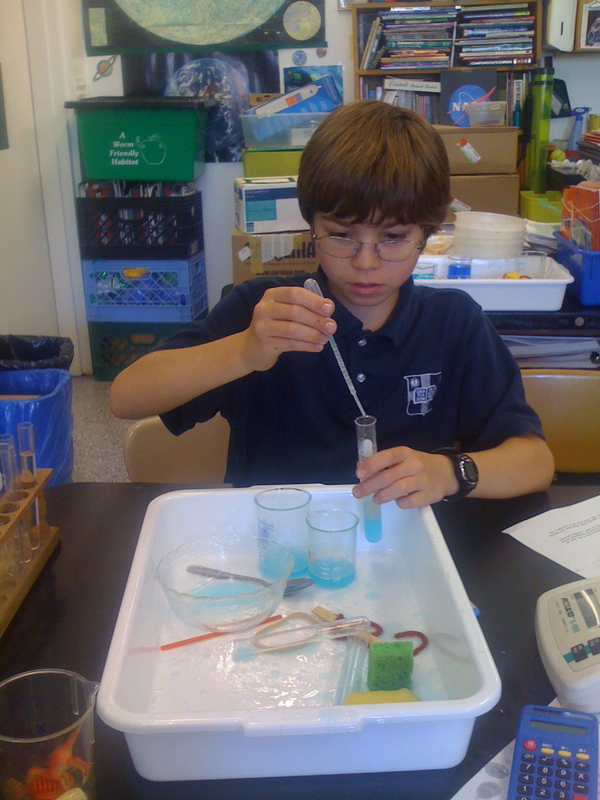 This year, kids in 5th Grade have been studying the Lophelia II mission carried out in March 2009. You can view video of the Gulf’s incredible biodiversity via Google Earth 5; a program that allows you to dive into the sea and look at recordings of creatures discovered as recently as March 2009! Students in 2nd and 5th grade have also been learning about how the full life cycle of natural resources impacts our planet. Fossil fuels are used for more than just transportation; they are the primary source material for plastics. In 2nd grade, kids examined coal pieces and learned about how long it takes coal and petroleum deposits to form. Ranger Rick, and the National Wildlife Federation, has a great site devoted to answering kids questions about the Gulf Spill. You can search for answers to questions about the reasons for the spill, reactions children may have, as well as ways we can help now and in the future. Adults may want to learn more about petroleum and the oil industry through the excellent magazine GOOD. Creating clever and readable graphics, the website has several sites, blog posts, and images that can help make sense of the disaster as it unfolds. The graphic below outlines where we get oil, who uses it, and what products it ends up in. From Good; Transparency "Oil Consumption"
“Black Tides: The Worst Oil Spill Disasters in History” tour from Google Earth 5. 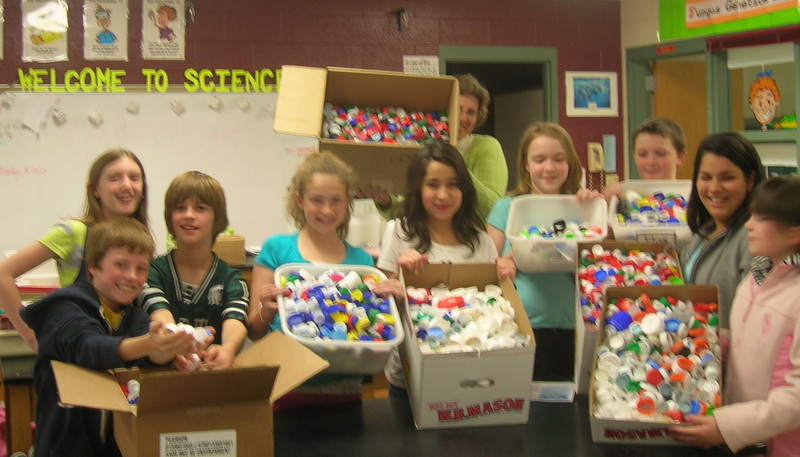 Kids at Dighton-Rehoboth Middle School in Massachusetts started recycling bottle caps after hearing about our Green Team’s efforts. Thanks to Art Teacher Judith Bertozzi, 7th Grade Science Teacher Carol Richard, and many others, the kids collected 8,644 caps for the Aveda program. 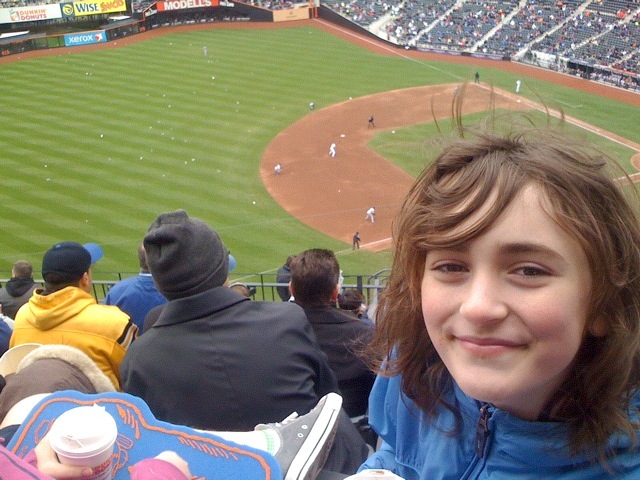 On Environmental Education Day – METS WIN! 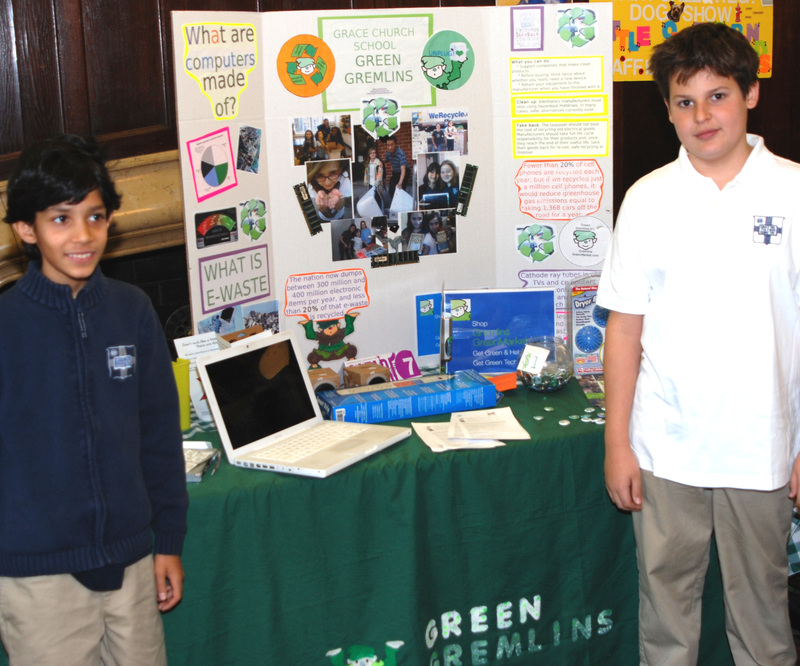 On April 28th, the Green Gremlins were invited to Environmental Education Day at Citifield. We had a great time, despite the amazing gusts of wind and cold. Hot chocolate and good company solved that problem. While we were there, Citifield demonstrated how the new Mets stadium is more environmentally sound than Shea was; incorporating new kitchen equipment and bathroom and water systems that save thousands of pounds of CO2 from entering the atmosphere. The stadium gave away re-usable water bottles for the students attending the event. Kids in our group talked about what environmental actions are more green than others while observing the work of other schools and the stadium. 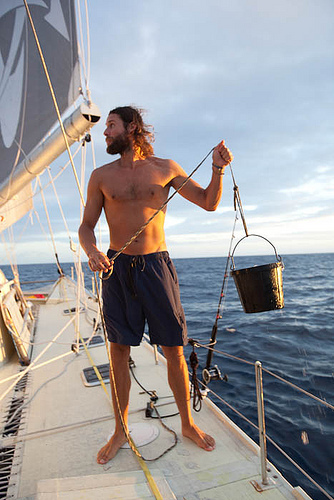 We noticed a lot of garbage (plastic bags) whipping in the wind and getting in the player’s way. It really “hit home” that wastes can be reduced when students and fans are careful to take care of wrapping, and to use as little as possible. Rock and Renew, a non-profit that works with schools to help make more sustainable meals and garden programs, performed with several school groups from around the city. All the kids, and our city’s baseball team, were amazing! The Mets won against the LA Dodgers, 7-3. This year we had a great Earth Day assembly with the Green Gremlins and the Technology Committee working together. Kids created their own presentations using many media. They explained what eWaste is, as well as how new technologies are getting more green. We ended the show with our eWaste video. Our front lobby table demonstrated what we’ve learned about eWaste as well as a link to our new market GremlinsGreenMarket.com. 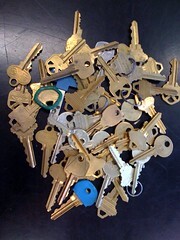 The Center for Ecoliteracy has a fun project anyone can try. 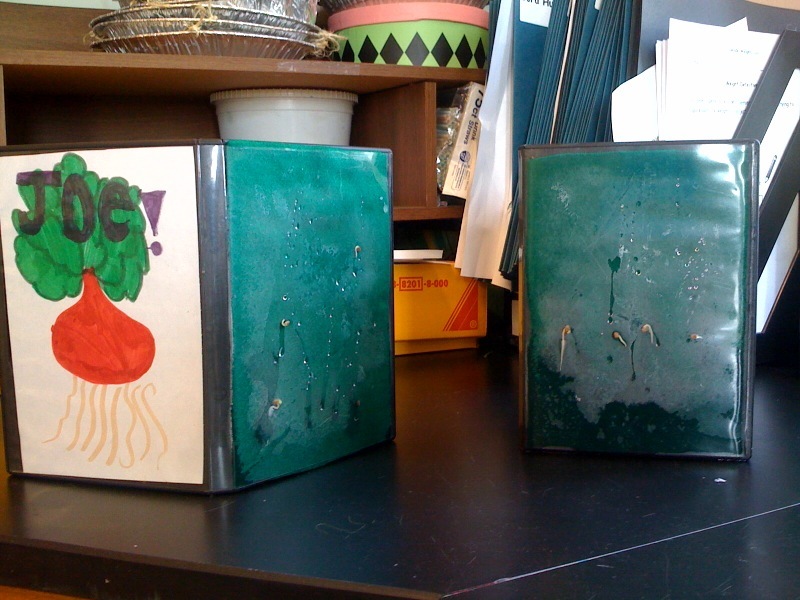 Plant your seedlings in a Mini CD Greenhouse! Click here for detailed instructions. 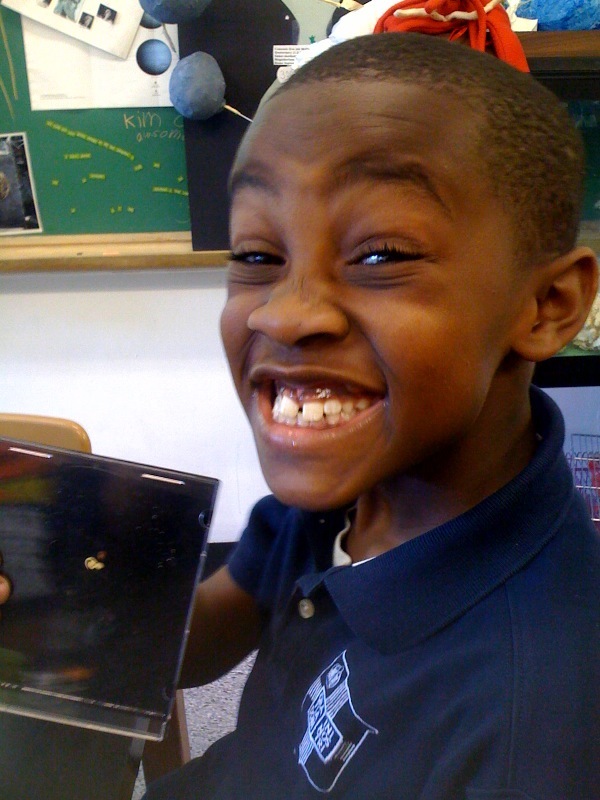 Kids at Grace used radish seeds in CD cases and Old DVD cases. Old Jazz drive disk cases were used as well – remember those!! The Story of Stuff – Electronics! Annie Leonard does it again! With an eye on the unique problem of consumer electronics, she is going to share her unique story telling style of economics in order to explain how electronic waste is ravaging our ecosystems. Partnering with the Electronics Take-back Coalition, she will explore the ways in which our manufactured “needs” are creating a toxic soup of eWaste. You are currently browsing the Green Gremlins weblog archives for May 2010.